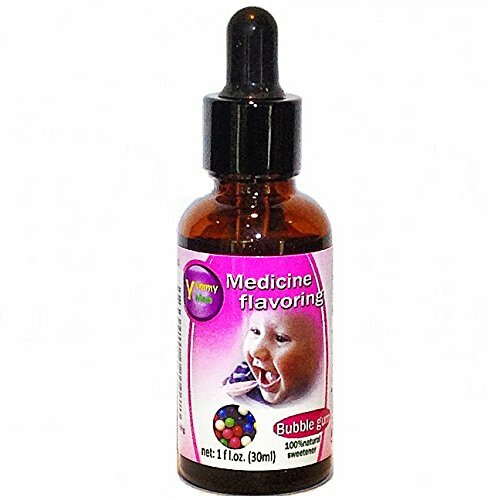 Medicine flavoring for bad tasting medication for babies and any other age group.Your child will finally be able to swallow a less bitter and sweetened medication eliminating the gagging and vomiting process. If the supplements you child take take taste and smell bad, Flavor+ can improve both Our products are flavoring drops of choice for yucky antibiotics like augmentin, penicillin or bitter medications syrups like zantac or strattera. Our 1 oz amber dropper glass size vial allow for multiple servings and safe storage conditions ( no vinyl no plastics!) Our products are safe to be used in babies and children. We use a natural sweetener instead of the artificial ones seen on the market which makes it also ideal for diabetic patients , athletes , patients on nutrition weight loss diets and even pets!! Our product can also be added to a variety of foods and beverages from water to sauces yogurt or smoothies Our drops are available in 8 different flavors and come in a convenient multi dose 1 oz amber dropper size vial Our products are FDA registered, HACCP certified and all flavor ingredients are on FEMA list. Expiration date : 01/2019 Limited Quantity Available. 1 Oz vial, exp 01/2019, 600 drops of flavor! If you have any questions about this product by Yummy Meds, contact us by completing and submitting the form below. If you are looking for a specif part number, please include it with your message.